The last time Facebook held its F8 global developer conference, in September 2011, huge announcements were made, such as the introductions of Timeline, the ticker, and Open Graph applications. F8 will return April 30, in San Francisco, but don’t expect the fireworks of the previous event, as the one-day confab will be developer-focused, according to the social network. 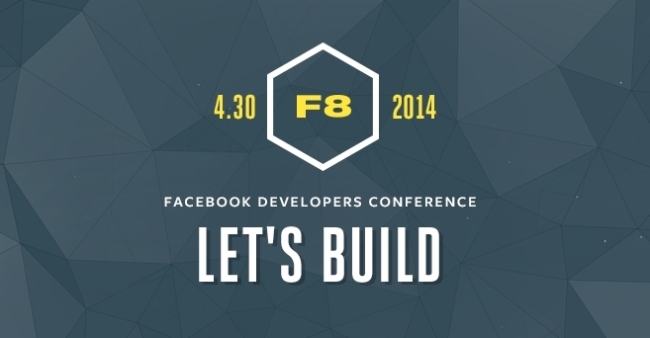 I’m excited to announce our global developer conference, F8, to the Facebook and Parse developer communities. We invite you to join us April 30 at the San Francisco Design Concourse for a full day of technical talks and hands-on sessions. At the event, more than 1,500 mobile and Web developers from around the world will gather to learn more about using Facebook and Parse to build, grow, and monetize great apps. This year, we’re going back to our roots with a developer-focused conference. We will open with a morning keynote, followed by four technical tracks. These tracks will cover everything you need to know about building on the Facebook and Parse platforms, including getting-started guides, technical best practices, infrastructure strategies, engineering deep dives, and advertising tips for making your app or game highly successful. We’ll also have special sessions dedicated to exploring how developers can take advantage of open-source technologies. Facebook and Parse engineers and product team members will be available during the conference to provide one-on-one help and advice, and you’ll also have the opportunity to learn from each other throughout the day. We’ll close out the day with a celebration for attendees to unwind with drinks and entertainment. Over the past year, we’ve hosted a series of smaller events for developers like FbStart, Facebook Game On, Facebook Mobile DevCon, Parse Developer Day, and Facebook + Parse Mobile Developer Day. We’re excited to now have one event for everyone to come together and discover what we can build together. To learn more about F8, and to be notified when registration opens, please visit the F8 site, where you can sign up to receive more information. We’ll begin accepting applications to attend soon. 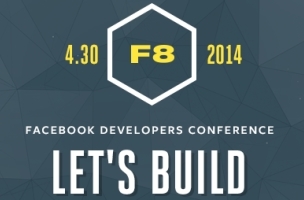 My first visit to SXSW was extra cool because I just announced that Facebook is once again putting on the developer conference F8! In September, my team put on Parse Developer Day to talk about building great apps with Parse. I thought talking with 600 developers from all over the world was pretty awesome, but now we get to be part of F8 — over twice that size. App development is happening at such a crazy pace these days. Almost every day, I find a new app that is solving problems or providing entertainment in a really creative way. My favorite app of the moment is Threes. I can’t stop playing it. But building a hit app and finding people who will love it is really hard. Turning that app into a money-making venture is even harder. Helping developers solve these problems is why we’re doing F8. Between the Facebook and Parse teams, we have a lot of new developer-focused products to show off. We’ll have a day full of technical content, engineers all over the place to help out, and a sweet party to close it out. It’s going to be a lot of fun. April 30 at the Design Concourse in San Francisco. Be there! Developers: Will you try to attend F8?